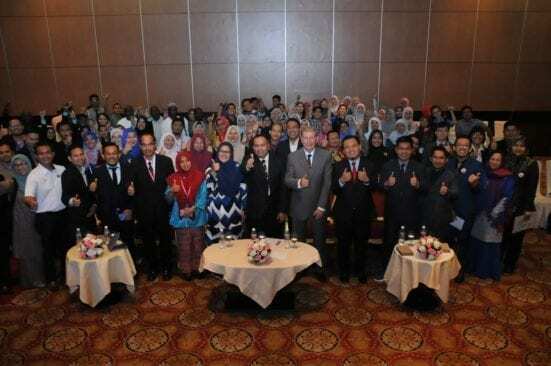 Johor Bahru, 26 Nov – A total of 86 experts in Technical and Vocational Education and Training (TVET) from 6 countries spanning Malaysia, Indonesia, Thailand, United Kingdom, Nigeria, and Saudi Arabia had participated in the 3rd Technical and Vocational Education and Training International Conference (TVETIC 2018) on 26th and 27th November 2018 held at KSL Hotel and Resort Johor Bahru, to share the ideas and research interest in TVET. 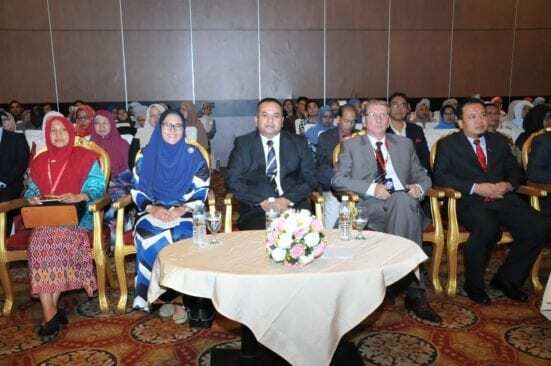 The School of Education, Faculty of Social Sciences and Humanities, Universiti Teknologi Malaysia, headed by the organizing chair Dr. Nur Husna Abd Wahid, together with Malaysian Technical and Vocational Education Association (PPTVM) had successfully co-organised the conference with Universiti Pendidikan Sultan Idris (UPSI), Rajamangala University of Technology Thanyaburi (RMUTT), Bina Nusantara University (BINUS), Universitas Muhammadiyah Purwokerto, and Universitas Muhammadiyah Palu with the primary purpose to establish a joint research relationship in the field of education especially in realising TVET towards industrial revolution 4.0. The conference served as a platform to distribute the latest information regarding the development of quality education, which was officiated by the Dean of the Faculty of Social Sciences and Humanities, Prof. Dr. Muhammad Sukri Saud. The Dean concurred that the field of education is viewed as one very critical aspect in playing a role towards producing future generations to carry and administer the country in terms of intellectual, emotional, physical, and spiritual stability. TVETIC 2018 is an effort to examine the cultural impacts, applying findings from domestic and foreign research findings, studying the proper teaching and learning process that should be implemented to ensure that the quality of education can be maintained on the right track. Dr. Gennrich Rolf Burghardt, an International Senior TVET Governance Expert in Asia, together with Associate Professor Kumar Laxman, a research expert in instructional design and technology, as well as Dato’ SM Azli Tan Sri SM Nasimuddin Kamal, Executive Director of Go Auto Companies, are the invited keynote speakers for this conference. 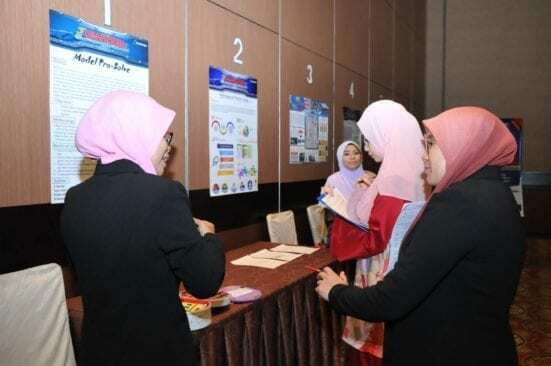 There were a total of 63 submitted papers, together with 5 poster presenters covering 26 sub-themes ranging from vocation and learning, 21st Century Skills and Training, Engineering Education, and innovation in teaching and learning. These papers had undergone a double-blind peer-review process and will be published in Journal of Technical Education and Training (JTET), a SCOPUS-indexed journal, or in a SCOPUS-indexed proceeding by Taylors and Francis, upon another round of review by both publishers. The committee hopes that the 4th TVETIC in 2020 will attract more participants from various countries involving wider research areas being shared during the conference in the future.